55min Ride! Our premium experience, the “Broadwater Adventure” ride… …famous for the unique blend of Thrills & Adventure mixed with Sightseeing & Scenery! 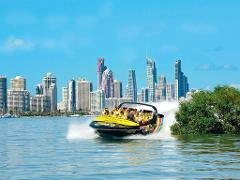 Our premium experience, the “Broadwater Adventure” ride… …famous for the unique blend of Thrills & Adventure mixed with Sightseeing & Scenery! 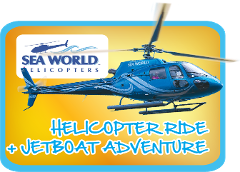 55 minute premium JetBoat Adventure + 5 min helicopter flight. 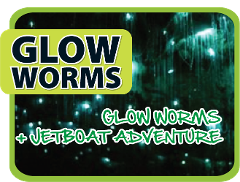 Hire the whole boat for your group on our 55min Ride! 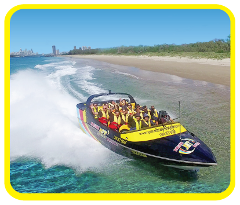 Our premium experience, the “Broadwater Adventure” ride… …famous for the unique blend of Thrills & Adventure mixed with Sightseeing & Scenery! 55min Jet Boat Ride & 10min Heli flight. 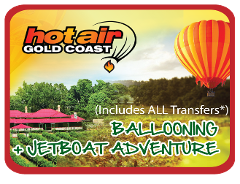 Hot Air Ballooning & Jetboating 55min Jet Boat Ride & 30min Hot Air Balloon flight. FREE PHOTO valued at $25. 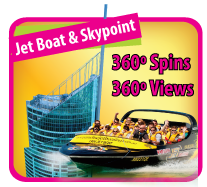 Jet Boat & Skypoint Observation Deck - 360º Spins & 360º views. 35 Minutes of Awesome Fun! Departing from the iconic Darling Harbour, experience the thrill of Harbour Jet as it races past some of Sydney's most famous landmarks! Departing daily during school holidays at 11am, 1pm and 2pm. 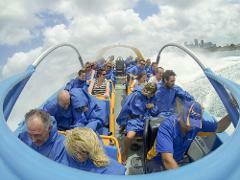 Enjoy a 35 minute jetboat ride around Sydney harbour before heading to the amazing Sydney Aquarium in Darling Harbour. 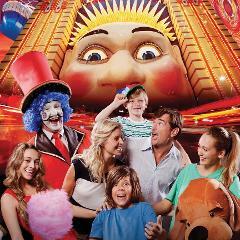 Enjoy a 35 minute jetboat ride around Sydney harbour and then catch a Yellow Water Taxi to Luna Park where you will enjoy unlimited rides in the famous theme park! 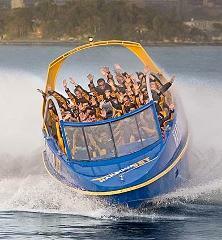 Australia’s most EXCITING Jet Boats! 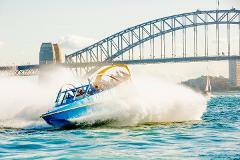 Enjoy a 35 minute jetboat ride around Sydney harbour before catching an iconic Yellow Water Taxi to Taronga zoo!